Move up for Bosa ASAP!!!! There was a vote and people said it would be too expensive. I think the jets would snap bosa up in this scenario and it would take an obscene offer to get them to give it up. It's obvious Bosa is the choice (that's who it is, if no one trades up...). I apparently missed the poll. it was done during the mock sigh up thread. 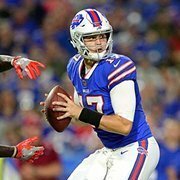 Bills will move to 5 and give up there 1st and 2nd this year if bosa, allen or williams are available. Yup. Bills can’t trade up. The people have spoken. Is that your pick then or are you waiting on a trade offer? The tough part about having a one round mock with trades is that, well, it's only 1 round. We don't get to use the theoretical extra picks we acquire in later rounds. If I'm only getting to project ONE of my team's picks, of what benefit is it to me to trade down and not get to exercise that one pick until later in the round? If we were doing, say, the 2nd and 3rd rounds, then I'd get to enjoy the spoils of my trade by getting to exercise those extra picks. The way things stand now, though, what's my motivation to trade down and pick up later picks that I'll never get to use? 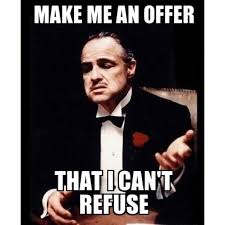 In real life I may not make the offer above but for this it is more of a thought exercise. Play out the experiment and see where it goes. The next draft is the time to be the real GM alas with no trades. OK - make your pick😀. The right pick for the Jets IMO. 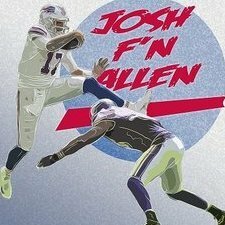 If Bosa had gone #2 then Allen for the Jets. Theoretically speaking, what “benefit” do you get from any of this? Surely you understand what I'm saying, right? I do, but the reality of the situation is as I stated. I’m sitting at 7 with the jags, I could’ve offered a first, 2nd and 3rd for #2–#3 to get Allen, Bosa or Williams. I didn’t. Why? Because it probably won’t happen irl and it doesn’t benefit me in the least. He’s clearly better than Oliver imo. I get that it’s not the consensus around here, but I’d move up for him. Adam Schefter is reporting that the Raiders are not opposed to trading down and staying in the top 10. Ian Rappaport is still worthless after the AB thing, but he confirms. Put a poll back up! Are you working out a trade? I put out some Feelers, but didn’t get any response. With the 4th pick in the 2019 NFL draft; the Oakland Raiders select, Devin White, LB, LSU. I thought about Williams, but we like our young interior guys. Sweat and Burns both seem high right here. This guy will captain the defense for years to come. @ndirish1978 is on the clock.